via The Last American Vagabond: In a time of such obvious deceit and aggressive manipulation, not only by those who once sought our votes or our subservience, but today even by each other, unwittingly doing the bidding of those who seek to control our every purchase, our every click, view and action, one would think that every plan and decision put forth by these known liars of our recent past and present political elite, would be immediately scrutinized and deconstructed for motivation and corruption. Yet that is not exactly the case, at least not where it matters. How did this come about? How did they create a culture in which we are now doing the deceiving for them, one in which we are no longer skeptical but accepting, willing, pleading for their solution? This happened, as it always has, by allowing us to think that it is of our own creation. Creating a problem for which they have already been planning a “solution” for years, waiting for us to react accordingly, and then giving the slightest of resistance, lest we feel we did not have to fight for what we have been programmed to think we want. And finally they put into effect what they wanted all along, allowing us to think we won the day. 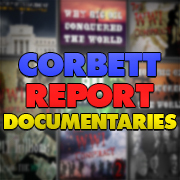 What we are seeing today with the proposed regulation of the currently trending social media outlets is no different, and here with me once again to discuss this long-con and its possible repercussions and solutions is James Corbett. Is Censorship part of War preparation? The Vagabond’s opening statement was completely on point and well stated in a nut shell. James, as always, excellent. 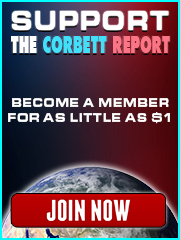 I am glad that Corbett revisited the topic of the FDA which came up during The Ripple Effect education conversation. On The Ripple Effect education conversation, Corbett also mentioned the analogy of taking a car to a mechanic. This ties in well with what is discussed at The Last American Vagabond. I am reading a book by Tim Wu, The Master Switch. This has happened before, the battle for control of the public produced media. In the early part of the 1900’s Vail-Bell -RCA CBC. I have just finished reading a chapter on David Sarnoff. Just thinking CIA for some reason….